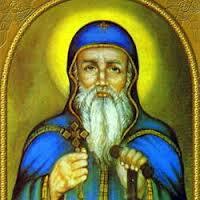 It was St Antony of Egypt who started the solitary form of Christian monasticism, that is, for hermits. His contemporary St Pachomius was the first to set up communities of monks. Patrick Duffy tells his story. Born in Thebes, Upper Egypt, Pachomius was conscripted at an early age into the Roman army. Impressed by the kindness of Christians, he became a Christian on his release. 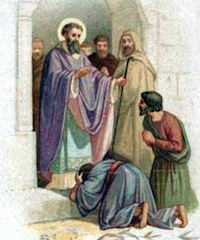 Soon he became a disciple of the hermit Palemon, who taught him how to pray and meditate. From him he also learned some of the practical skills of laying stone and bricks. When other disciples began to arrive, Pachomius had the idea of a community of monks. He went to live at Tabennesi on the Nile in central Egypt, where he himself became the administrator, organising those who came into a community of up to forty. The regime was austere, one meal a day with an optional supper, except on Wednesdays and Fridays. The day was organised around the liturgy, with time for manual work and devotional reading. This took the form of learning by heart extracts from the psalms and the Bible. The movement grew rapidly and Pachomius established a second monastery. Eventually there were nine monasteries for men and two for women. He appointed local superiors in charge of each of the houses. The superiors met at Easter and August to present an account of their monastery and celebrate the liturgy together. An Angel appeared to Pachomius in the robes of a monk of the Great Habit at the place called Tabennisi and gave him a parchment on which was written the Rule. Pachomius considered obedience carried out with zeal more important that fasting and prayer. The monks were not ordained, nor was he himself, but a priest from outside came to celebrate the liturgy. Pachomius wrote a Rule, which influenced St Basil in the East and, through a Latin translation by St Jerome, St Benedict in the West. He died of a plague in 346.